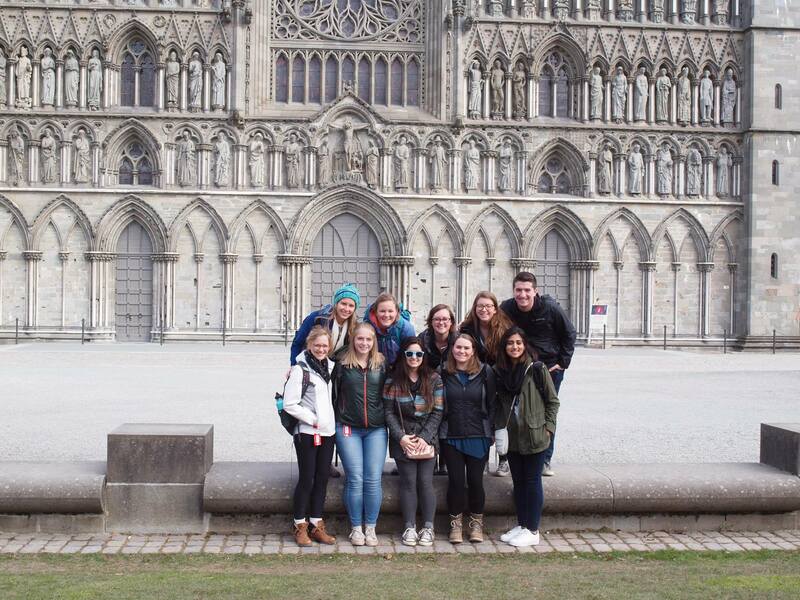 For my education abroad program, I traveled to Trondheim, Norway with 9 other students from Ohio State. I took a class on clinical medical genetics and spent most of the time at the local hospital and in the lab. I was able to stay with a host family consisting of my host dad, Dan, my host mom, Maria, and my host brother and sister, Mikkel and Ronja. These four weeks in Trondheim changed a lot about how I learned to perceive my surroundings. More than anything, all my experiences have transformed my perception of myself as a part of society. Whether that be through becoming more attentive or more self-assured, I’ve found different experiences impacting my own perception differently. Having lived in Columbus almost my entire life, I never took extra time to explore the city or pick up on the little details. I would say it’s boring here and never take a second look. Even in my own life I wouldn’t slow down and observe the people and things around me. Staying with a host family and immersing myself in another country and culture, I made extra efforts to observe their lifestyle, look for differences, and simply be more aware of my environment. Additionally, it was so eye opening to be in a society where their history dated back a thousand years and put into perspective how young America truly is. It was interesting to learn about the evolution of Norwegian society into what it is today and how that compared to American history. It was also transformative because I was completely shocked to see just how knowledgeable locals were about American politics. I didn’t know anything but what the quick Google search had taught me in fifteen minutes but everyone I met knew more than some Americans I’d discussed politics with. Norway is also an extremely environmentally conscious country and I was so inspired when realizing how easy it was to make simple day-to-day changes to be more earth friendly. It was also a slightly shameful experience to realize how little I had been doing, even when I had thought otherwise. The people there were also surprisingly fluent in English, especially considering how little tourism and foreigners they get. Finally, the other biggest part of my transformative experience was my assurance in pursuing teaching as a career. 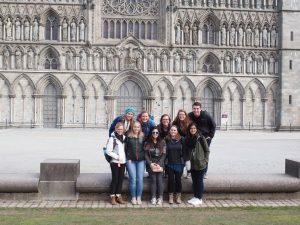 While dropping my pre-medicine track and choosing to go into teaching was a relatively new change, the people I met in Trondheim really made me feel confident in my choice to do this. At first, it was hard to find specific events that led to my transformation and realizations that I had during my stay in Trondheim. My time there felt quite comparable to my time at home: I would wake up, go to school, do homework, eat dinner with my host family, and repeat it all. Because there wasn’t a huge culture shock and they lifestyle seemed quite comparable, I didn’t come to appreciate the differences for some time. I couldn’t just take a quick glance. Oddly enough, the first thing that made me take a closer took was when I was eating dinner with my host family. They had made burgers for dinner and as we American do, I started piling everything between the buns and went to take a massive bite, only to look up and realize the whole family was staring at me. After taking a second look, I found that they (including 6 year old Ronja and 4 year old Mikkel) were neatly eating the burger with their forks and knives. This awkward and slightly humorous moment I what really made me reevaluate my first impression of Norway and Trondheim. From that point, I started picking up on more details. For example, I was struck with how family-oriented the culture is. At first I thought maybe it was just my family but asking the other students in my program about their host families, I found the same thing. Even after people had moved out of their parents’ houses and had their own children, there would be weekly dinners with the whole family and people would drop everything just to help family. 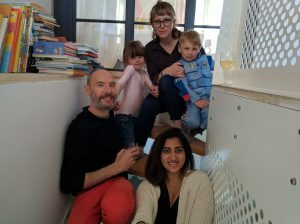 The kids were as close to their aunts and uncles as they were to their parents, and not just in a “cool aunt/uncle” way, but they would actually listen to and respect them as if they were more parental figures. It was a stark contrast to what I’ve experienced in the U.S. and was more closely aligned with practices in the Eastern world. The history and politics of Norway went hand-in-hand and gave me a glimpse into why this country became what it is today. The thousands of years of history and war resulted in a highly liberal, almost socialist society that I got to experience. It was incredible because of all the problems I have with American politics and of all the changes I would like to see, I found so many of those already a reality in Norway. As someone who very strongly believes in liberal ideologies, living in Ohio, and being raised in a predominantly conservative society made me feel as though I wasn’t at liberty to express my beliefs. I felt like I was constantly challenged and judged for my convictions. Staying in Norway, where my ideologies align so closely with theirs, I felt like I could grow in them and learn how their society works, implementing these policies that promote the liberal agenda. It was a learning experience and one that I felt encouraged partaking in. That being said, I did also come to understand that not everything I want is necessarily practical for a country the size of America. Countries like Norway could do it because of the smaller populations and the more concentrated population but in America, we would have to find new solutions to achieve similar results. And, I also realized that the people here were so aware of the rest of the world. Many Americans, but definitely not all, are so often concerned with what’s going on with America that we tend to ignore the rest of the world, maybe not intentionally but in my experience, we don’t go out of our way to make the extra effort either. I found that to contrast so heavily with the Norwegians I met, as well as people from all the other countries I traveled to after my month in Trondheim. Coming home has made me realize that I need to do a lot more to become a global citizen. Also, living with host mother, who is a teacher, and meeting my host grandmother, who is also a teacher, I felt more reassured in my career choice of becoming one. I was able to learn a little bit about the Norwegian education system and it made me think about what I had learned about schooling in Norway that I could implement in my own future classroom. My host grandmother is a biology teacher as well, which is what I want to teach, so asking her tips on how to keep students engaged and interested was a wonderful opportunity. The more I talked to both of them about their experiences, the more I felt confident in wanting to pursue the same field. Environmentally, I was so surprised to see how aware people were. Very little was actually thrown away. There was a compost in my host family’s backyard, different recycling for different materials, and everything was used to it’s absolute max, whether that meant reusing containers until it was completely unusable or using every part of a vegetable. They wouldn’t heat their house unless it was absolutely unbearable. Clothes were always hang dried instead of using the dryer (which they did have) and they would always remind each other to be cautious of how much water they used for everything from showering time to leaving a facet running. Everything was a simple change and something that wasn’t a new concept, but I realized that I would so often take the easy way out, even when I knew it wasn’t the most earth friendly. It made me rethink my lifestyle at home, especially after seeing that it wasn’t very difficult to make these small changes in my everyday lifestyle. This transformation of being more aware of my place and my actions within society and our world is valuable for many reasons. As a future teacher, I’ve absorbed a lot from my host mom and grandmother. They’ve shared their experiences, telling me that it’s often times an unappreciated job, one that can be thankless but also very fulfilling. They’ve taught me that as long as I can impact someone’s life positively, I should be proud. My medical genetics course also talked extensively about bioethics and it’s a topic that I feel very strongly I should incorporate into my future teachings. It’s a topic I had never learned about until this May semester class and I really wish that I could have because of all the implications into so many parts of our lives. As someone striving to be environmentally conscious, this has been a wakeup call for how much more I can actually be doing. What I found to be the most significant part in this transformation truly is my increased awareness of the world around me. Yes, I am an American citizen but I should strive to be so much more than that. I want to be a global citizen, one who tries to understand people from all over the world: their cultures, their politics, their histories, and everything that I can. It’s a huge undertaking, and one that’s never-ending but as someone who also loves to travel (and I experienced this often during my 4 weeks of traveling after this program), I currently know shamefully little about the rest of the world. This trip made me aware of this particular shortcoming and now that I’m home, I know it’s something I need to work to improve. Whether I was in Norway during May, or in Spain or Switzerland, people of all ages would talk to me about American politics because they could. I want to do the same for them. 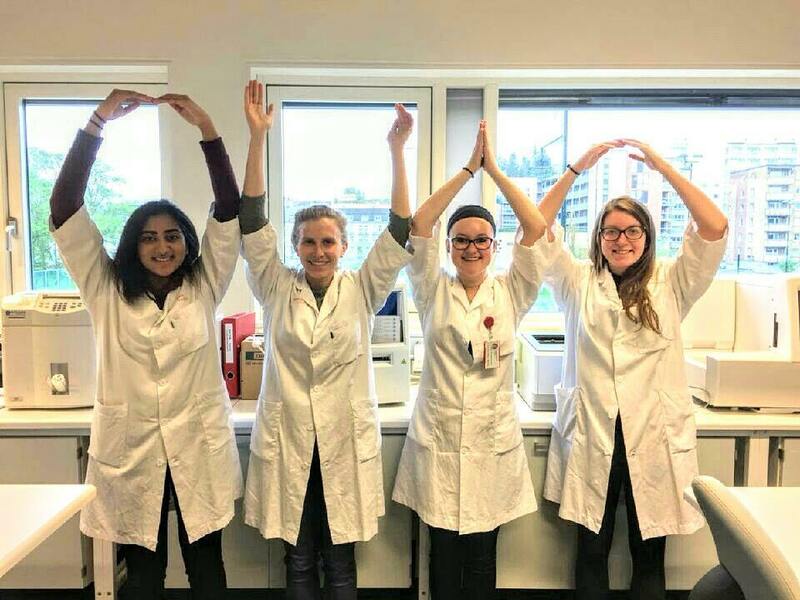 Classic O-H-I-O on our very last day in the lab! Posted by Avanti at 4:59pm November 14, 2017 Bookmark the permalink. Avanti I appreciated reading about how your experiences in Norway have really made you want to be a global citizen. I also applaud you on making the decision to explore teaching science as an option. 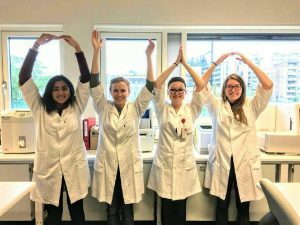 It’s clear that this study abroad program was quite tranformational for you.